Cotton Cuts — Introducing Brand Ambassador Christy!! Meet Christy! One of Cotton Cuts Classic Box Brand Ambassadors! Hmmm, I took a sewing class in Jr high and another sewing class in 4h so I learned the basics when I was about 12 years old but didnt do any sewing after these classes. I made a cute pillow, a skirt, a pair of shorts and some sweatpants. I did a pretty good job but just wasn't super interested in sewing. When I turned 16 o e of my first "real" jobs was at a fabric store. The ladies there were super encouraging and so I decided to make a crib set for a store display. It was a fun Noah's ark print. I made everything you'd need for a nursery and had a pretty fun time with it. One day a customer asked the manager how much that nursery set was and she told her to ask me if I would want to sell it. I gave her a dollar figure, she purchased it and I was dancing!! I think that's what made me most excited about sewing.!! So I've been sewing off and on for 25 years. When I started having babies and space was an issue I packed things up and didn't touch my machine for about 6 years... then more babies and it got put away again. In 2012 the quilting bug hit me hard and I haven't stopped sewing since! I guess I answered that in the previous question. Lol. I learned the basics early on but most everything has been self taught from videos and trial and error! ummm. Fabric and more fabric!! Lol. Ok seriously I just love to create beautiful things! My favorite is to gift these beautiful things and see the smiles! 5. Favorite item you have ever sewn? That would have to be my big purple Tula pink, paper pieced Elephant quilt! I love to look at her hanging on my wall! Share something interesting with us? I am turning 40+1 this year! 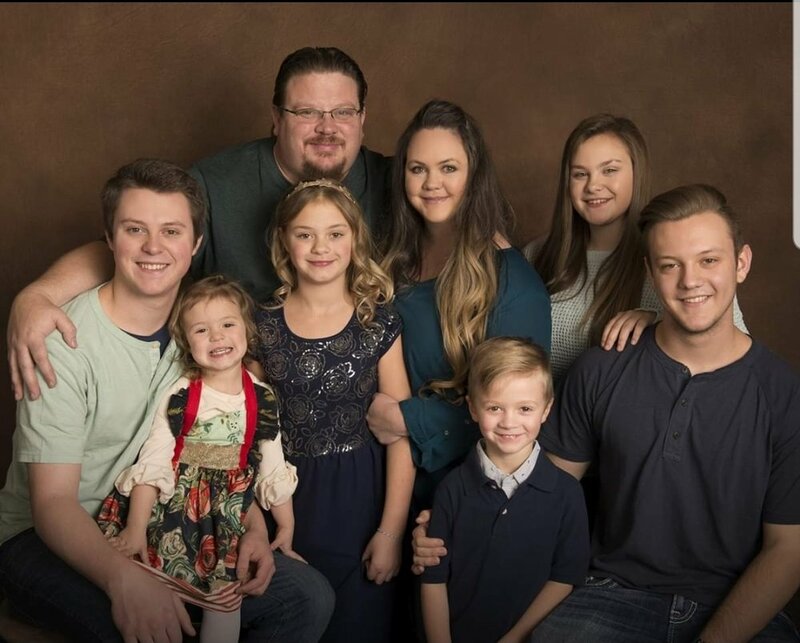 Hubby and I have been married for 22 years and have 6 kids! We have a crazy life but I love every second of it! Hubby and I own a business building and shipping gable vents. Gable what? Ya, I never thought i would own a attic ventilation company. Haha. Weird! I am obsessed with anything lemon! What do you love about your Cotton Cuts Fabric Subscription Box? What's not to love??? Every cotton cuts box is packaged so beautifully! My cute purple box is currated with my likes in mind and the fabrics are beautiful and high quality! I have 2 daughters that love to pet the fat quarters just as much as I do! Please feel free to go follow Christy on Instagram at @6littlestitches!